Sold per foot or 4 foot sticks. 1" inch works on 4/0, 3/0, 2/0 AWG. 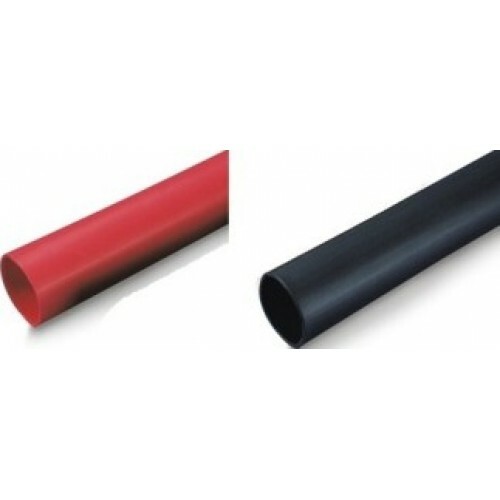 Dual-Wall tubing with a thermoplastic adhesive liner, providing permanent, non-drying, bendable, water-resistant protection in harsh outdoor environments. Bonds to a wide variety of plastics, rubbers and metals. Provides a permanent waterproof environmental seal that is flame retardant and meets UL and Military specifications.